It’s Back to School Shoe Even! The children are away and it’s time to play. 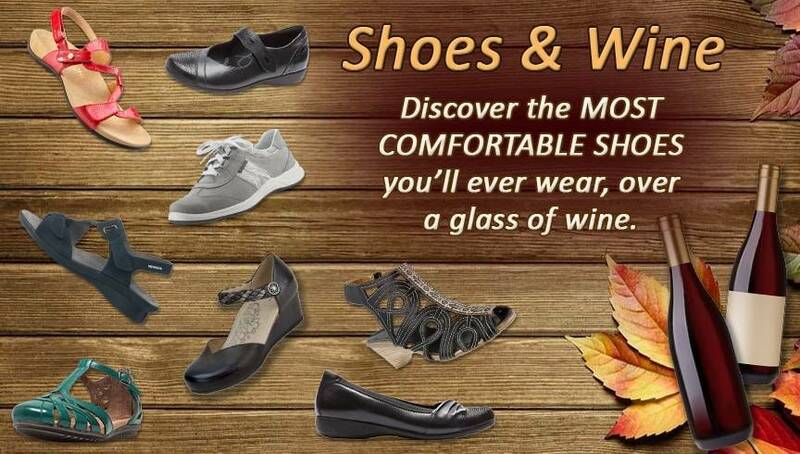 Celebrate Back to School with wine and appetizers while you shop the newest Fall arrivals at Lucky Feet Shoes! Stop by and spin the Lucky Feet Shoes Prize Wheel for your chance to score up to $20 off your purchase when you spend $75 or more! Come into any one of our stores during our Back to School Shoe Event, located in Anaheim Hills, Rancho Cucamonga, Riverside, San Dimas, Temecula, La Quinta and Palm Desert! Visit us today and try on a pair of Dansko shoes! At Lucky Feet Shoes, we carry many Dansko shoes: sandals, heels, wedges, flats, booties and boots; in any of our Southern California stores. If you are looking for Dansko footwear in Orange County, the Inland Empire, Los Angeles County, Temecula or Riverside; we have seven stores to serve you! Come and visit us today!